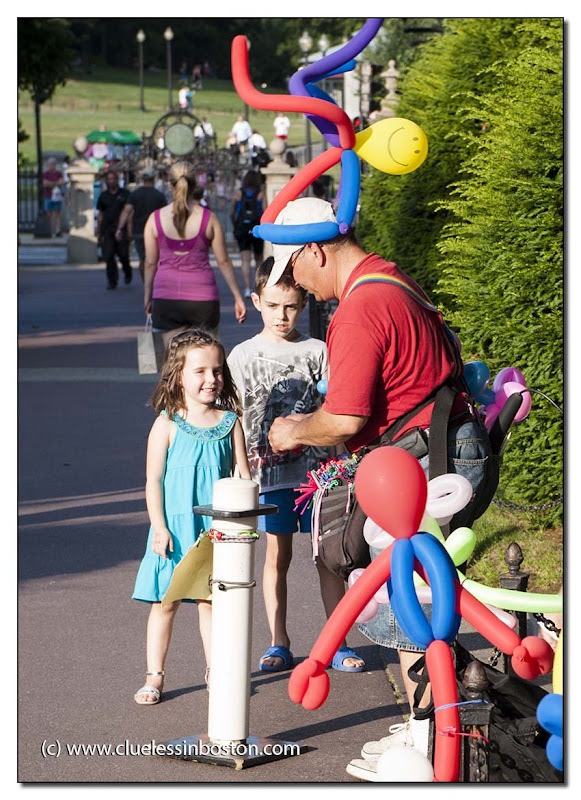 Balloon vendor and children in the Public Garden. What is it about balloons and kids' faces. They are drawn to each other. I love to watch these guys work. What a great hat! Yup the young girl is definitely rapt, the young boy not quite so impressed!! I alway find it amazing how they twist the balloons in shapes so quickly.